"Do you recognize these men? 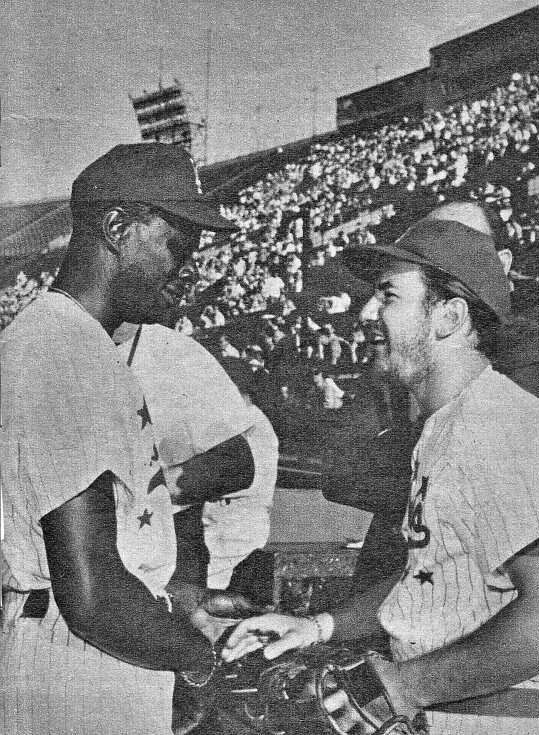 Nat King Cole and Bobby Darin, two famous singers taking part in a charity baseball game. 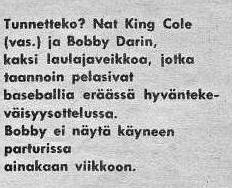 Bobby has several days growth of beard"
Thank you to Hannu Juurinen for this clipping and the translation.